A welterweight clash between Evangelista Santos and Saad Awad was added to the main card of Bellator 154, sources told MMA Fighting. The event takes place May 14 at the SAP Center in San Jose, Calif.
Santos (21-16) tapped Brennan Ward in just 30 seconds in his promotional debut on April 22, and enters the cage coming off back-to-back wins since coming off of retirement in 2016. 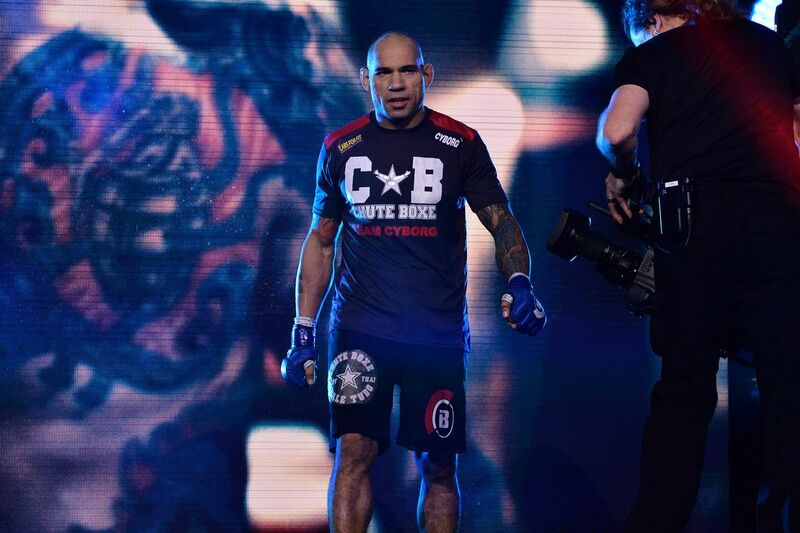 During his 20-year MMA career, “Cyborg” has fought the likes of Melvin Manhoef, Mauricio Rua, Nick Diaz, Gegard Mousasi, Francis Carmont and Marius Zaromskis. Awad (18-7) looks to bounce back to the win column following a decision loss to Patricky Freire in August, snapping a three-fight winning streak. Awad moves up to 170 pounds after building a 6-4 record under the Bellator banner with four first-round finishes, including a 43-second knockout over current lightweight champ Will Brooks. Bellator 154 features Phil Davis versus Muhammed “King Mo” Lawal in the main event.